Michael Regan, Secretary of the North Carolina Department of Environmental Quality, hosted a meeting of the state’s environmental organizations last week to review the department’s first year and look forward to the year ahead, including the 2018 legislative session. Regan, who was flanked by his entire management team, listed key hirings in several agencies, as well as responding to the unexpected discovery of the GenX pollutant in the Cape Fear River, as key milestones in his first year under Gov. Roy Cooper. Environmental groups, which welcomed Regan’s leadership after a rocky relationship with the department under former Sec. Donald van der Vaardt,thanked Regan for his leadership on several issues, including opposing federal efforts to open the state’s coast to offshore oil drilling and implementing an open-door policy. Looking forward, Regan said the Department would soon begin a new effort focusing on environmental justice. He declined to talk about the details of the Department’s budget priorities for the 2018 session, explaining that its budget requests had not yet been approved by Gov. Cooper. Regan did say, however, that DEQ would request full funding to address the GenX issue in the Cape Fear region. While the environmental groups did not make a unified request at the meeting, several groups encouraged the Department to detail how the Cooper Administration plans to implement the goals of the state Climate Alliance, which Cooper endorsed last year. The alliance is a group of states that banded together with the goal of reducing greenhouse gas emissions consistent with the goals of the Paris Agreement after President Trump pulled the United States out of that agreement. Other environmental groups asked Regan to provide more guidance about the Cooper administration’s priorities to newly-appointed members of key environmental review boards and commissions. Look for Gov. Cooper to deliver his revised fiscal-year-2019 state budget to the legislature in early May, before the General Assembly convenes for its short session on May 16. North Carolina operates on a two-year (or “biennial”) budget, which is approved in the legislature’s long session in odd-numbered years. The second year of the biennial budget is revised during the legislature’s short session in even-numbered years. In preparation for this revision, the executive branch submits a revised version of the second year budget to the General Assembly. Approval of the second year budget is the legislature’s biggest job during the short session. Right now, the Cooper Administration is in the process of finalizing its spending plan for FY2018-2109 before it goes public in May. While we won’t know for certain until tax returns are in at the end of April, state revenues appear to be holding steady, with very modest increases in both recurring revenue and nonrecurring revenue available to Cooper and the legislature in crafting the state budget for next year. That’s the outlook for the 2018-2019 fiscal year. But don’t expect things to be so rosy next spring, when many of the tax cuts approved by the GOP-controlled legislature in recent years are in full effect. Unless the economy grows at a very fast clip, lawmakers and Gov. Cooper will likely face a daunting gap between recurring revenues and recurring expenses like teacher pay and public school enrollment growth – as well as increased investments at DEQ and in land conservation and state parks that many environmentalists support. 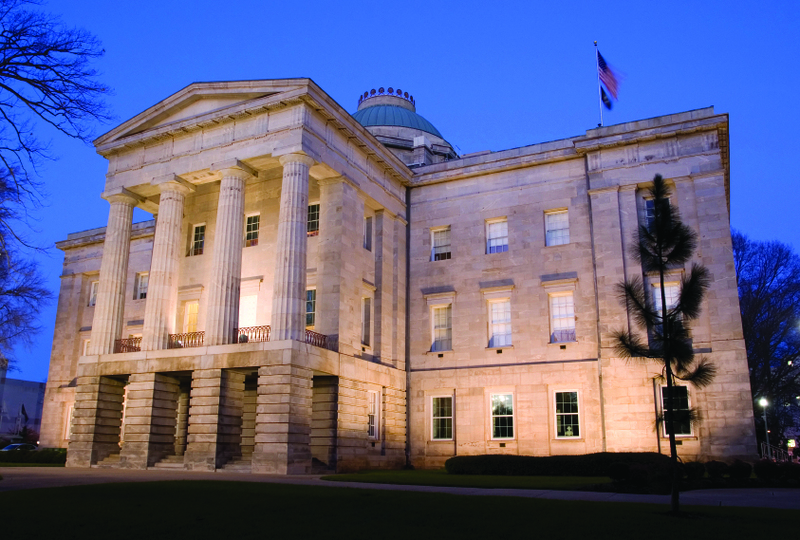 With the legislative session around the corner, you can keep track of MountainTrue’s efforts in Raleigh by subscribing to our legislative update list here. Ands make sure to follow us on Facebook and Twitter for news about state and national policy issues that impact WNC. If you value the MTRaleigh Report, our work in the state capitol and our efforts to protect our region’s environment, please vote for MountainTrue in the categories of “Environmental Or Conservation Nonprofit” and “Activist Group For Civic/Political Action” in Mountain Xpress’ Best of WNC reader poll. Thanks!